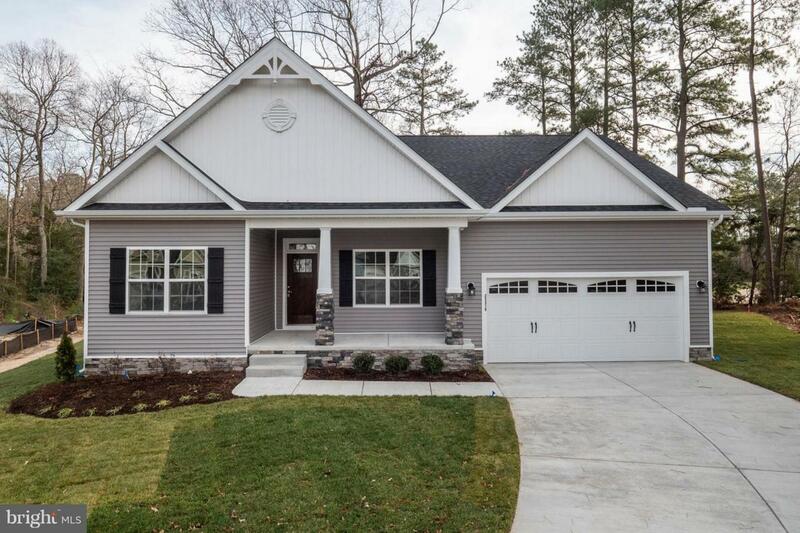 This Devon immediate move-in home, located in the private wooded community of Bay Pines in Lewes, has everything you could want in a coastal retreat! This picturesque community surrounded by mature trees and green space has only 35 homes and is perfect for those looking to be in a smaller and charming community with extremely low HOA fees. This home features stick built construction with 2x6 exterior walls, tankless water heater, energy efficient appliances, and a PEX plumbing system. Also included are granite kitchen countertops, tiled bathrooms and 5 1/4 inch baseboard moldings. The full lawn is sodded & the landscaping package includes an irrigation system. This home is a must see if you want to be close to the beach, and only a few minutes away from everything route 1 offers! This home also includes a basement! On-site unlicensed sales professionals represent the seller only.